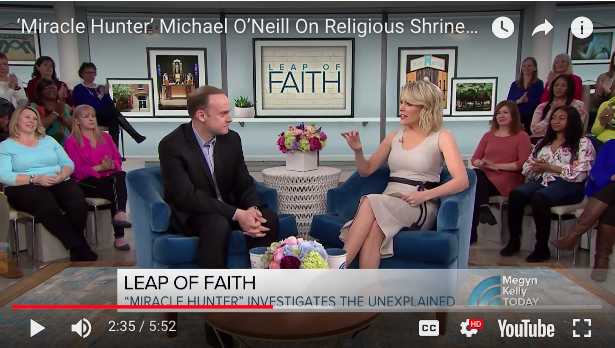 Throughout the ages, there have been innumerable reports of miracles including the appearances of Jesus, the Blessed Virgin Mary, saints and angels. These apparitions have come in many forms and have been witnessed by a wide variety of people: men and women, children and adults, Christian saints and atheists. People from all corners of the globe have made claims to have experienced the occurrence of miracles. 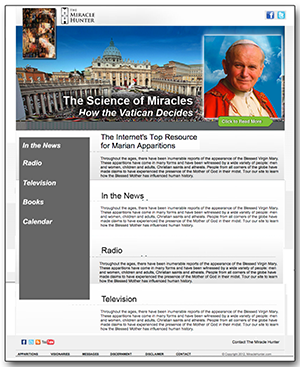 Tour our site to learn how these miracles have influenced human history. Signup to receive a monthly email with the latest Miracle Hunter news and updates! Thank you for sending me your site. It is excellent.